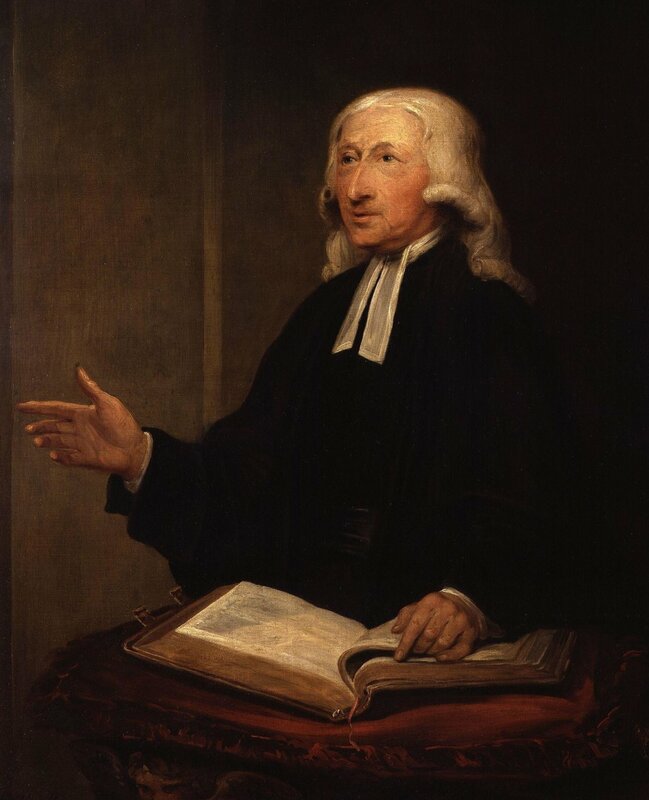 This post is part of a series of study guides on the Sermons of John Wesley that I'm putting together, mostly as a way to structure my own reading. Most of the sermons can be read for free online here or here. i. That's true, but we should despair if we're trusting our own works! 1. From a Christian point of view, it does you no good to believe in God. Theism doesn't get you any points; Jesus is where the action is. 2. Christianity is not about what you believe, it's about the disposition of your heart. Who and how do you love? 3. Good works and a powerful, embodied witness are great. But the cross and empty tomb are greater still. 4. Salvation matters here and now, and that means the 'saved' will have changed hearts and lives. 5. And none of this is about human effort - it's all only by grace. 6. Wesleyans often think of their heritage as being a very practical one, and that it surely is. But in this first of his "Standard Sermons" Wesley puts forth a vision of salvation with relatively little to be added to his listeners' to-do lists. Here, God does it all, and our work is underemphasized. Sermons need the gospel way more than practical application. What God did for us is more important than what we can do this week. The kingdom of heaven is like treasure hidden in a field. When a man found it, he hid it again, and then in his joy went and sold all he had and bought that field. Lots of us have heard these three verses before. We take the meaning of both to be simple: the kingdom of heaven is something more valuable than anything we can imagine, but sometimes it can seem hard to come by. We are to be like the man who found the treasure and gave up everything for it - what in our lives, we imagine we are invited to wonder, might be standing in the way of our owning this treasure? We should get rid of it for the sake of this most valuable thing. All the commentaries I looked at - several Church Fathers, John Calvin, John Wesley, as well as many modern commentators - all seem to read both of these stories more or less in this way: they're both about the value of the kingdom, and Jesus encouraging his audience to count the cost, to recognize the unsurpassable worth of the Kingdom and to give up everything for its sake. — John Wesley, Wesley’s Notes on the Bible, Accordance electronic ed. (Altamonte Springs: OakTree Software, 1997), paragraph 14805. I think that's a pretty good reading of the parable of the treasure hidden in the field. But the more time I've spent with these three verses the more I've decided that we basically all read the second parable wrong. I'm serious. Like, all of us, and me too. But just notice the subtle ways that the parable of the pearl merchant is different from the treasure in the field. For instance, take a look at the different economic outcomes for the buyers here. The guy who finds the treasure in the field sells everything to buy the field, but in the end he gets the treasure for free. As a result, the guy who buys the field ends up economically much better off. He has a field that is worth the same as "all he had", but he also has the treasure. The pearl merchant, on the other hand, simply buys the pearl. 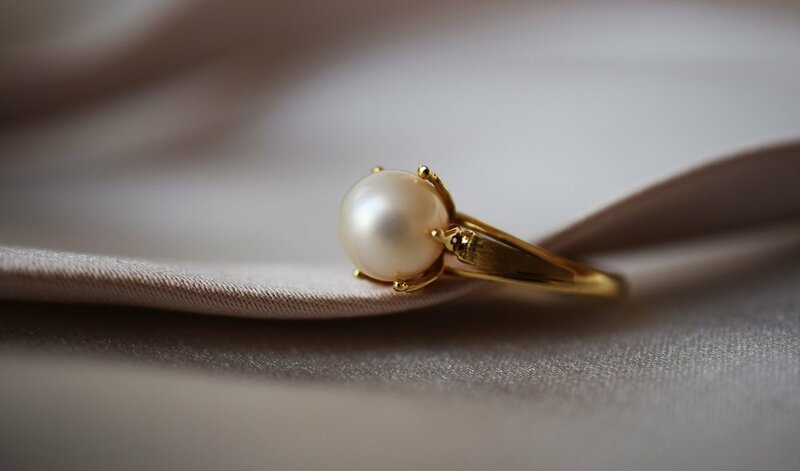 Maybe he got a good deal on it (we aren't told), but it is probably fair to assume that he paid a reasonable market price for the pearl - the merchant saw it, and then fell in love with it; he just had to have that pearl. He paid his whole net worth for this pearl that is worth about the same as his whole net worth. So the financial situation of the pearl merchant is essentially still the same; he sold all he had, and all he got for it was that pearl. Also notice the different levels of intentionality here. The first man seems to just stumble upon the treasure in the field, as if by accident. The pearl merchant, on the other hand, was actively looking for fine pearls. I thought all of that was curious. Then I looked at these parables a little closer. And I noticed something that should have been obvious. In the first parable, we're told that the kingdom is like a hidden treasure that someone found and sold all he had in order to purchase that field. If these parables were supposed to be identical, then the second parable should read something like, "The kingdom of heaven is like a fine pearl that a merchant found, and the merchant sold all he had and bought the pearl." But this is not what it says at all. The kingdom is not like the pearl - the kingdom is like the merchant. The kingdom is not being compared to the valuable thing that is to be acquired at whatever cost; the kingdom is compared instead to the person trying desperately to acquire that extraordinarily valuable thing. But if the kingdom of heaven is the pearl merchant, what on earth is the pearl? It hit me like a ton of bricks: you are! I mean, we are, the church is, perhaps all of creation is. But if God's kingdom is like a pearl merchant willing to lay it all on the line - pour his whole self out - for the sake of a single pearl of great price, then we should probably think of the merchant as the Triune God, the pearl's price tag as being Jesus' cross, and the pearl itself as being all that Jesus' cross redeems. We are the pearl of great price, and the God of the universe wants us to be his. In a way, maybe this truth is itself the treasure that we might stumble upon as if in a field and, if we are wise, will shrewdly give up all we have to acquire it and profit from its immeasurable value. Molina was a sixteenth century Jesuit (=Roman Catholic) theologian. A lot of Jesuits in the sixteenth century were reacting against the Reformation. Here he says our freedom enables us to avoid sin and attain salvation, with God's help. Taking seriously our absolute need for God's help as a supplement to our freedom is important for those of us who have been shaped by the Reformation (and, to be fair, for all Catholics and Eastern Orthodox too). We have this help, so the rest of the statement holds basically as is. But we do need this help; without it we are quite literally helpless. Most of the time we call this help grace. Does God know things before they happen? 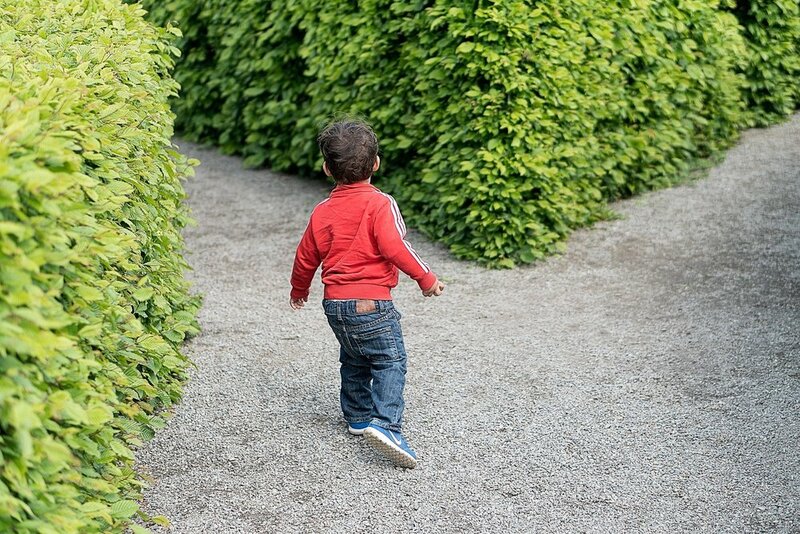 Does God know which path this child will choose? Lately I've been thinking a lot about what God knows and how that relates to human freedom. 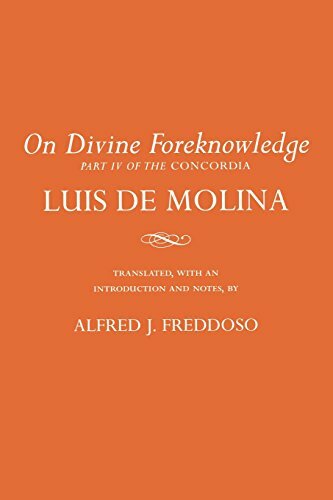 Sixteenth century Jesuit theologian Luis de Molina has been helping out quite a bit. Specifically I've been thinking about the question: Does God know things before they happen? There are at least four ways Christians seem to answer this question. You could just say that God doesn't know things before they happen. This is a popular option for a lot of people nowadays, especially in the mainline and Methodist circles I run in. Often people who advocate this position are rightly worried about God getting blamed for evil things that happen in the world. People do horrible things sometimes, and God is just as appalled as we are. God is not the author of evil; instead he is there with us as we suffer. This position is intended to be compassionate and pastoral, but its disadvantages are significant. This God might be really smart, but he is far from the all-knowing God of classical Christian teaching. Furthermore, biblical prophesy becomes a problem. For instance, how does Jesus know that Peter is going to deny him three times (Mark 14:30 and parallels)? One way God could know everything before it happens is if God somehow is the cause of everything that happens through his will or decree. This is what a lot of Calvinists believe. It's basically the opposite of the first answer, and is great in its view of God's power and knowledge. There's no problem with classical theism or biblical prophesy here, but there is a problem with human freedom and with evil. This view seems to make God complicit in all of the bad things that go on in the world, and it makes God's judgment of sinners seem capricious and arbitrary: if God made Judas betray Jesus, it doesn't seem fair for Judas to be punished for it. More trivially, this view doesn’t seem to match our experience - I genuinely feel like I chose to have egg salad for lunch last Friday, for instance. So God's power and knowledge are elevated here, but only at the cost of God's goodness and justice - and at the cost of human freedom. God could know things before they happen if God's eternity places him somehow outside of history, and therefore able to view it all at once, like a student viewing a timeline in a history textbook. This and the next view are closest to the views of many church fathers, as well as that of the founder of Methodism, John Wesley (apologies to my answer #1 Methodist friends). On this view, God exists outside of time, and so every moment that has ever or will ever occur is present to God all at once. And so God is all-powerful and all-knowing because he's able to see the whole, but people are still free to do what they want in the course of history. God doesn't get blamed for evil because he is allowing human freedom to run its course, but God is still able to act in history and can thus inspire things like prophecy and do things like perform miracles. This view is kind of abstract and conceptually difficult, but if we could understand it perfectly it probably wouldn't be divine, right? Another possible issue for this view is the fact that God seems to know hypotheticals too. Jesus said, “Woe to you, Chorazin! Woe to you, Bethsaida! For if the miracles that were performed in you had been performed in Tyre and Sidon, they would have repented long ago in sackcloth and ashes” (Matt 11:21 NIV11-GK). Of course those miracles weren't performed in Tyre and Sidon, so how could God possibly know that they would have repented? If you're thinking it's because God is really, really smart, I think you're right. But that means we need to add something else to this third view: God doesn't just know future events simply because he exists outside of time and he can see them. So, here's a fourth view, complimentary to the third. Yes, because of "middle knowledge"
According to Luis de Molina, God knows the future through three types of knowledge. First, God perfectly knows nature and how it works. The planets move in this way, your internal organs work like this, and if you hit a ping pong ball in exactly that way, then it will go along this path. Second, God knows what he is going to do in the universe; God knows exactly the extent to which he will act in the universe in history. And third, God perfectly knows how free agents will behave in every possible situation they might be put in. Molina calls this third type of knowledge, "middle knowledge." God knows that Tyre and Sidon would have repented if they had seen those miracles of Jesus, even though that situation never happened. And God knows that Peter is going to deny Jesus three times. Here's the key though: Peter is free not to deny Jesus. When Peter denies Jesus, it is really, genuinely Peter doing that. Peter was able to not deny Jesus, but if Peter wasn't going to deny Jesus, God would have known that too. In the same way, God knew Judas would betray Jesus, but Judas didn't have to betray Jesus. But if Judas wasn't going to betray Jesus, God would have known that too. So God is all powerful and all knowing, God is able to be perfectly good and just, and on top of all that, God is able to know hypotheticals too. Not bad, huh? Last week I shared some thoughts on why I think you should read Dante’s Divine Comedy. Today I want to argue that this centuries-old poem provides a helpful way to think about the way we Christians encounter suffering in our lives today. First, the obvious: Everybody suffers to one degree or another. And none of us enjoy it. Suffering, especially the more extreme kind, is so unpleasant to experience, or even to think about, that it causes a great many people to question God’s goodness, or even God’s existence. But the surprising truth is that other people’s suffering causes them to draw closer to God. Suffering seems to cut us one of the two ways - either drawing us toward or away from God. Dante’s universe is no different than ours in this respect. In Dante’s vision of the afterlife, he journeys through hell and purgatory on the way to the heavenly Paradise. 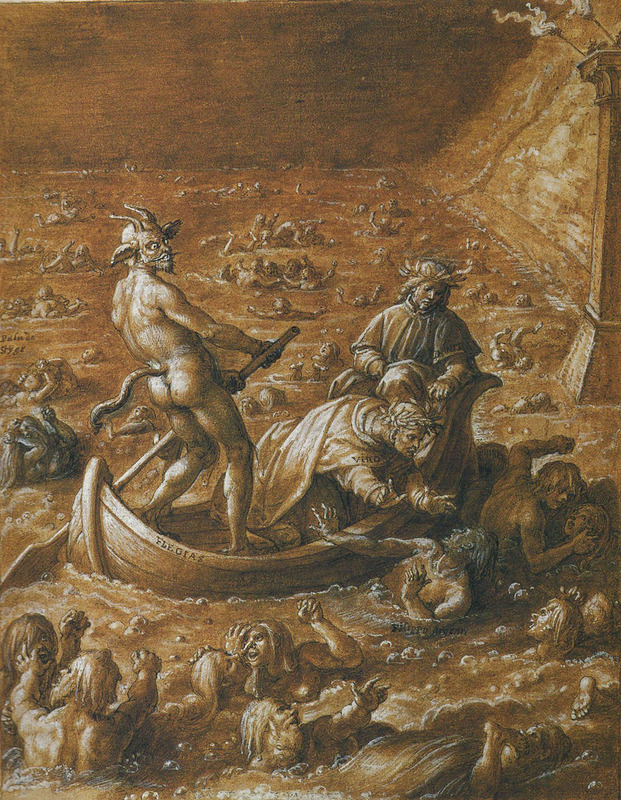 In the pit of hell he descends through nine circles representing sins falling into a few broad categories: incontinence (think out of control desires), violence, fraud, and treachery. Then on his trip through purgatory he ascends up seven terraces of a mountain, with these seven terraces representing the classic medieval seven deadly sins. The denizens of hell and purgatory seem, at first glance, to have a great deal in common. For one thing they are all sinners, and each of these sinners is suffering. On top of that, they are all suffering in ways that are poetically fitting for those who have sinned in the ways that they have (for instance, the lustful in hell are blown around by a great tempest, just as in life they were ‘blown about’ by their uncontrollable desire). No one in any of these locales is exempt from the suffering experienced there, with the sole exception of the pilgrim Dante and his guides through the geography of the afterlife. But the differences between the shades Dante finds in hell and purgatory are even greater than their similarities. As Dante descends deeper into the pit of hell, the suffering increases, as does the despair and the self-involvement of the souls encountered there. The shades in the Inferno are more selfish, self-focused, and self-deceiving as the poem progresses. And the poet, who began his journey full of sympathy for the damned, begins to understand that these souls are here for a reason. CS Lewis once suggested that the gates of hell are locked, but they are locked, from the inside. As we journey with Dante deeper and deeper, it becomes apparent that this is the case in Dante's imagination too. The people here aren’t having a good time by any measure, but what they are experiencing is the only thing that makes sense as an extension of their lives on earth. They are where they are because of who they are, and they wouldn’t trade it for anything. If they were offered a helping hand, an opportunity to change, another chance at grace, they would unhesitatingly refuse it. Purgatory is an altogether different kind of place. The sinners there are all destined for the heavenly paradise - though it may take them many years to arrive there. While they show some character flaws lower on the mountain, these flaws disappear as Dante makes his climb, and even the most flawed sinner at the base of the mountain is full of joy - even in the midst of great suffering. They are repentant, and they pray and sing to God, and show hospitality to Dante and a great sense of duty to their burdens. Their generosity and joy and words of praise were very affecting to me, especially early on in the Purgatorio. That may be because the poet was in rare form early on in the work, but I think maybe I was just experiencing a bit of literary whiplash - moving from the depths of despair in the shadows of Satan's wings to the joy of those imperfect but grace-filled souls embarked upon a journey toward communion with God. To sum up, the damned of hell and the saved in purgatory are both suffering, and neither of them would have it any other way. The enormous difference is what they are doing with that suffering. One group is stuck, the other group is moving. But the thing that makes a difference, I think, for Dante, is that the one group is focused on themselves, while the other is focused on the divine Love that is their destination, their Ultimate Goal. When things don't go your way, where do you put your focus?